There are multiple reasons that prove my point: Its undisputed quality, the long production process and, especially, the unique winemaking technique, the appassimento (grape drying), an ancient practice enhancing the flavour profile and the structure. I have always continued my quest for high quality with the burning desire to make new wines deploying modern and ancient procedures to achieve excellence. The turning point was the year 2003 when, driven by the ambition, I decided to create a new special Amarone, a Riserva with a limited production: an old-school wine combining complexity, elegance and finesse, because this is what a real Amarone should be about. A Bordeaux-style Amarone? I will let the others do that! Hand-picked grapes from the best vineyards: Monte Mattonara in the village of San Floriano and Valfiorita in Negrar. Natural drying without dehumidifiers in order to enhance the structure and maintain the identity of the wine. The winemaking takes place in a wooden vat with manual pumping overs. 2003 turned out to be a very hot vintage with the grapes struggling because of the heat. 2004 did not quite convince me, the weather pattern had not been ideal for the ripening. 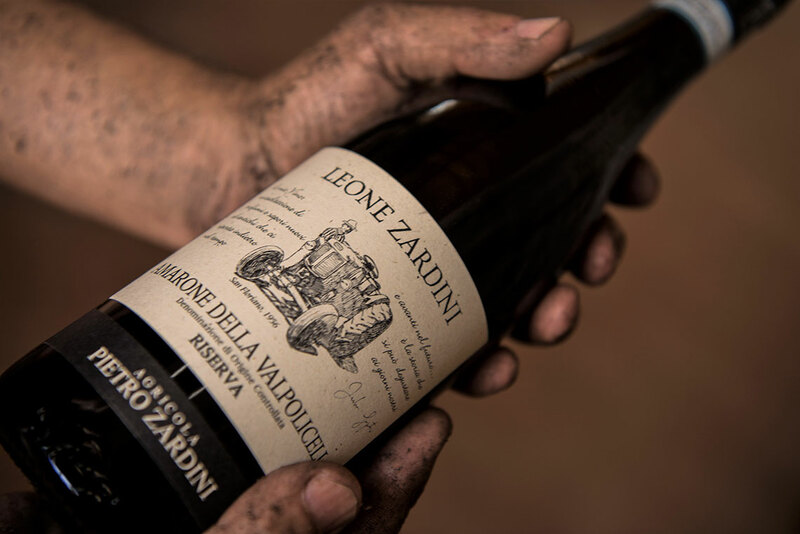 Finally, in 2005 I did manage to make an amazing wine that would be released in 2012, after a six-year ageing: the Amarone Riserva Leone Zardini. A stunning wine was born: 432 bottles, a drinkability that belied its massive structure and alcohol content, an authentic Valpolicella wine that remains true to its identity and to its soul. I decided to dedicate it to my father Leone, 80 years of age, a man of generous temperament acting both as a stern guardian of the winery and funny entertainer of our customers. 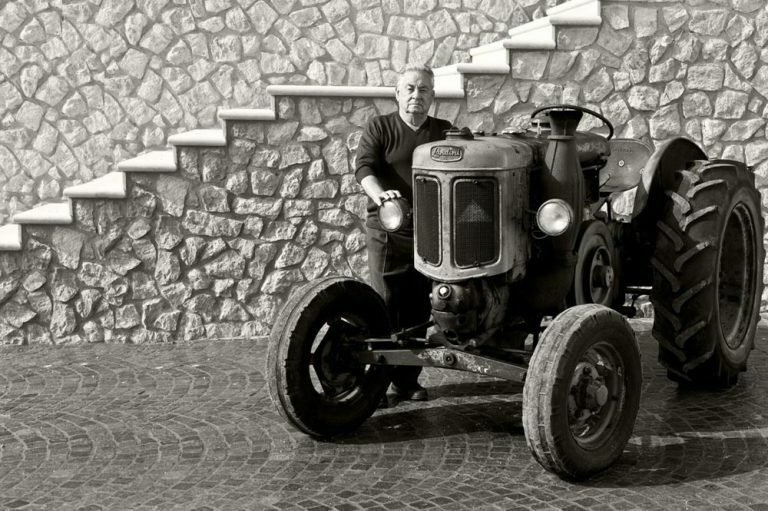 Indeed, the labels portrays him next to his inseparable tractor Landini Testa Calda back in the year 1956. My dad Leone passed away on the 8th June 2017 at home, above his old cellar, surrounded by his caring and loving family. Il mio babbo Leone Zardini è passato a miglior vita il giorno 8/6/2017 nella sua casa di San Floriano circondato dall’affetto dei suoi cari, sopra la sua cantina.